Easter is a great time to get in the kitchen with your kids. 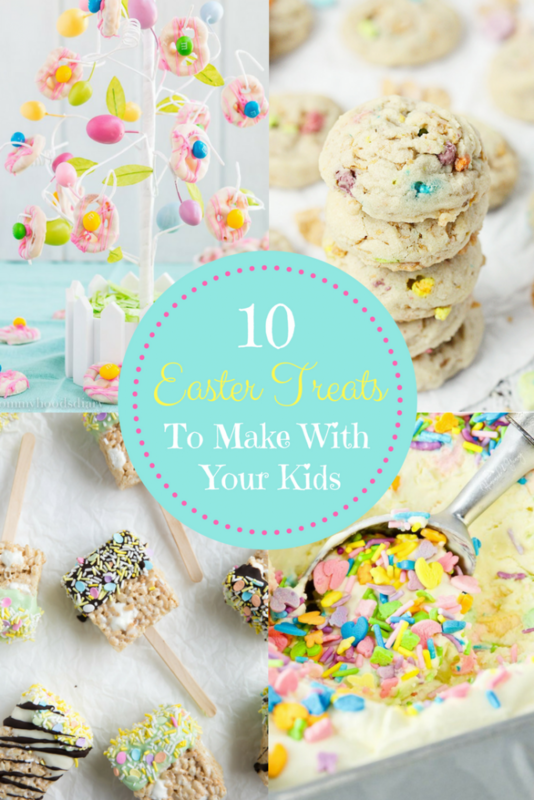 There are so many cute, kid friendly, Easter themed treats to make. I’m thinking bunnies, eggs, and flowers all in the beautiful pastel colors of spring. How cute are these Strawberry Carrots from Eats Amazing!? It is the perfect treat to make with your kids. This recipe only requires 2 ingredients yet makes such a cute treat! This would even be a great treat to make with really little ones, 5 and under. I think these could also be a really cute addition to an Easter table centerpiece. I know my kids would be so excited to see a treat they made included in my Easter table decor. (Y’all, I hate peeps.) 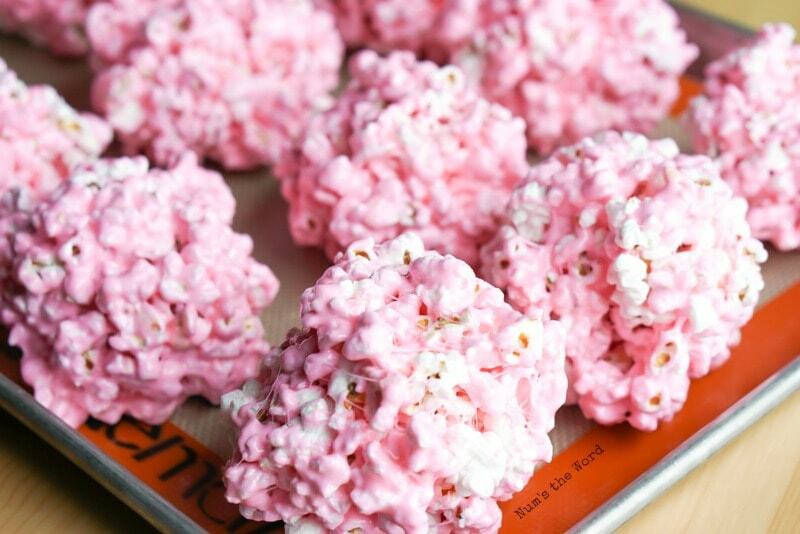 But, I love marshmallows AND I love this super cute recipe for pink Peeps Popcorn Balls from Num’s the Word! This is the perfect way to use those sticky little Easter treats. I think I would actually love a Peep melted down into a popcorn ball! And I know my kids would love them too. Have you seen the new (seasonal?) cereal General Mills came out with? Luck Charms Frosted Flakes! How excited would your kids be if you came home with a box of this cereal!? I’m not sure I will be eating a bowl of it in the morning. But I do know that I would love to sink my teeth into one of these delicious cookies from Half-Scratched. The recipe is full of easy to find ingredients and easy to follow, kid friendly, instructions. Who doesn’t love an ooey-gooey chocolatey brownie!? 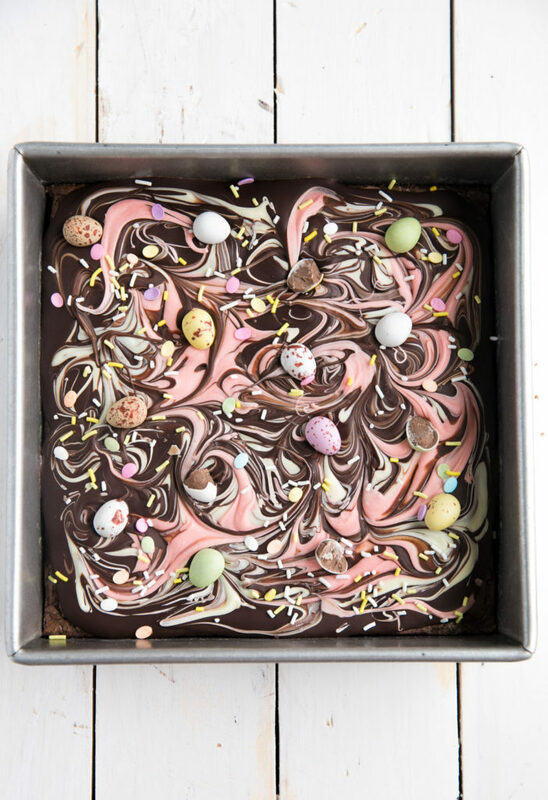 Especially if it is a double chocolate brownie like these Chocolate Bark Easter Brownies from The Forked Spoon. 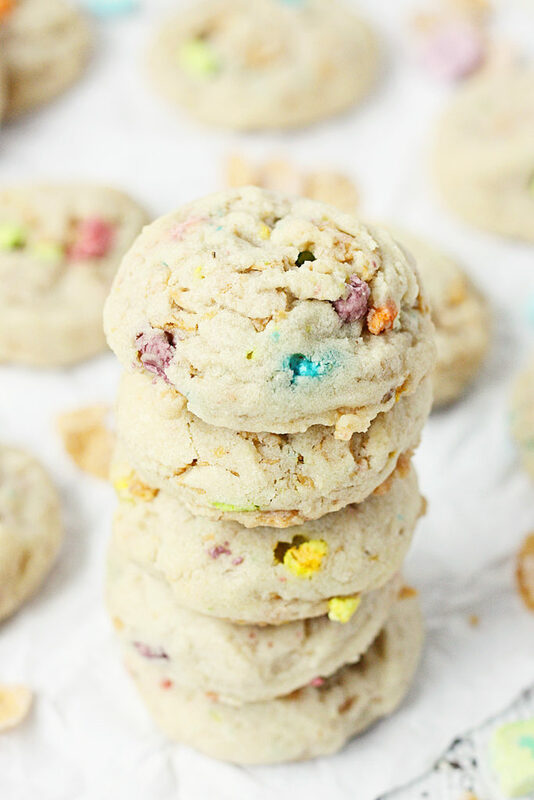 Your kids will be begging to lick all the spoons when you make these! 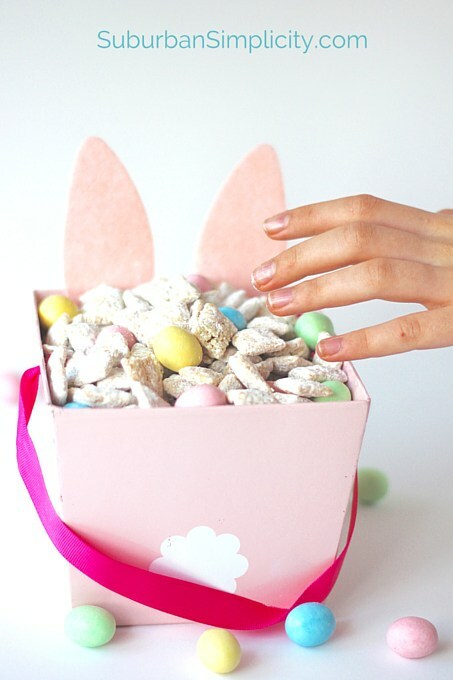 This is such a cute Easter version of traditional puppy chow from Suburban Simplicity. It uses a white chocolate instead of milk chocolate, giving it the white and pastel look. So perfect for Easter! Bunny Chow is a treat that you can make with kids of any age. You can even include your 5 and under little ones because you are only using the microwave and a large ziploc bag. They will love to toss and shake the bag to coat the Chex cereal. 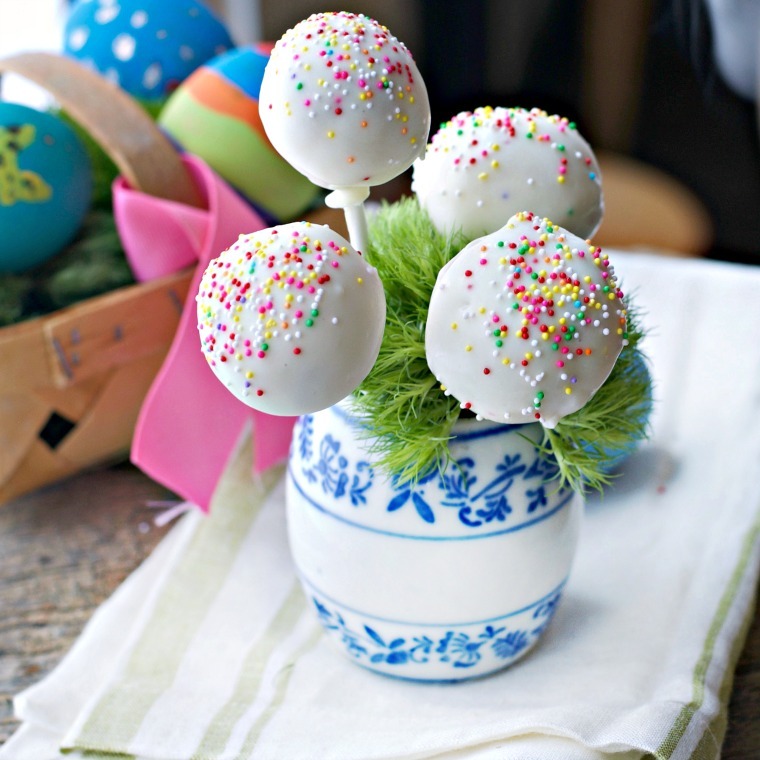 These Easter Cake Pops from Loaves and Dishes could not be cuter. Kids pretty much love any treat that comes on a stick, right!? This recipe looks like it could be complicated, but it is SUPER EASY!!! You start with a boxed cake mix (which my kids love making). 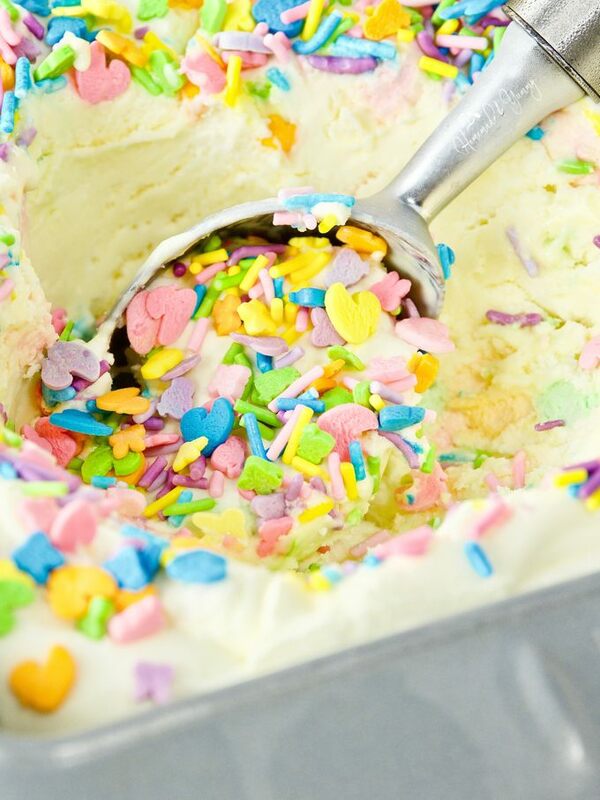 Then you add a little frosting, some white chocolate melting chips and sprinkles. That’s it. Nothing complicated- perfect for kids in the kitchen! Not to mention my kids would be over-the-moon proud if they produced a cake pop like these! My kids love scones. Whenever I drive thru Starbucks they beg for the mini vanilla scones. 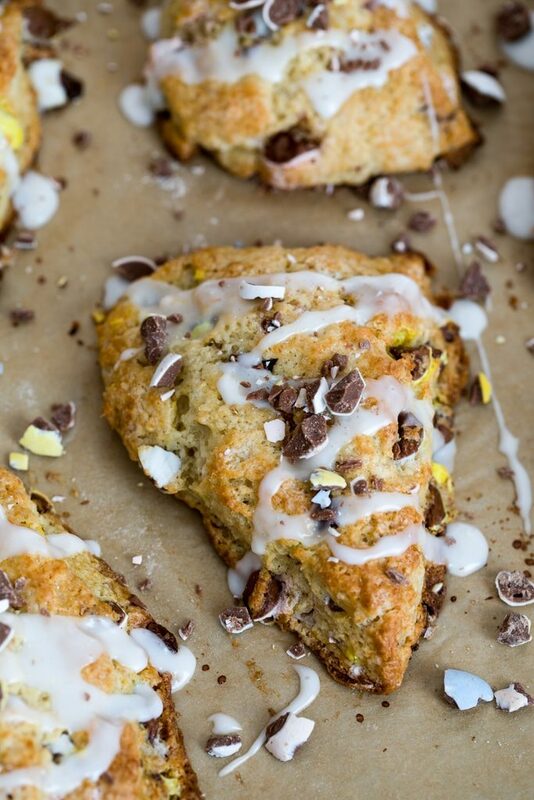 I think they will be just as excited about these yummy chocolaty scones from We Are Not Martha. This recipe calls for crushed/cracked mini cadbury eggs- the perfect job for any kid in the kitchen! 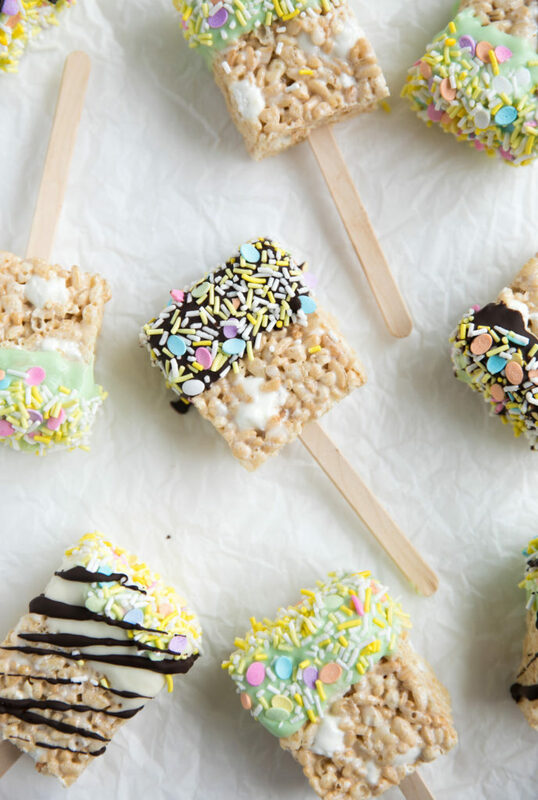 YES… it’s always a huge YES from me when it comes to Rice Krispie Treats. Especially if they have extra chunks of marshmallows like the ones below from The Forked Spoon. I love the addition of the popsicle stick and pastel sprinkles. This is another perfect treat to make with kids of any age! I love the picture below from Oriana at Mommy’s Home Cooking. It is such a throwback for me. When I was little, during Easter, we would have an Easter Egg Tree on our dining room table. It was just a small limb that we would cut from a tree and put into a vase. Then we would hang glittery easter eggs on all the branches. I would love to recreate that with these yogurt covered pretzels. 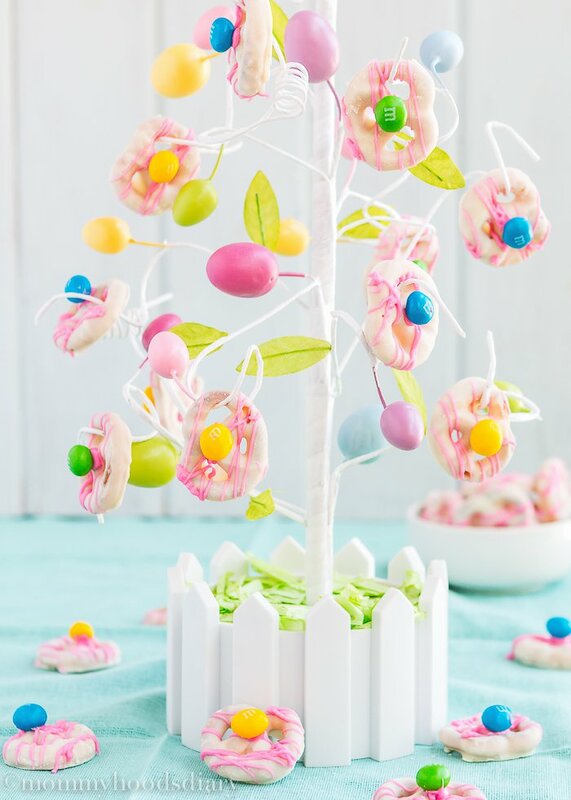 An edible Easter Egg Tree! Perfect! You had me at Lemon! “No Churn” is just the icing on the cake. We can thank Homemade & Yummy for this excellent recipe! Now you can make ice cream at home, even if you don’t have an ice cream maker. This recipe is super kid friendly. There are a lot of opportunities for the older kids to measure and mix and the little ones to pour and sprinkle. These all look so yummy and so much fun to make with kids! My kids would love all of these! They are so yummy! My kids are excited to try all 10 treats. I love all of these colors! So fun and yummy! What a great selection of Easter treats! My little boy would love ALL of these! I love the look of that Chocolate Bark Easter Brownies- they looks very moreish! Thank you! Those brownies are so beautiful.. and delicious! These all look awesome! I love those carrot strawberries! Thank you! I love those strawberry carrots too- so easy! Such a great list! OMG those carrot strawberries! Too cute and easy! Love that! Thank you! 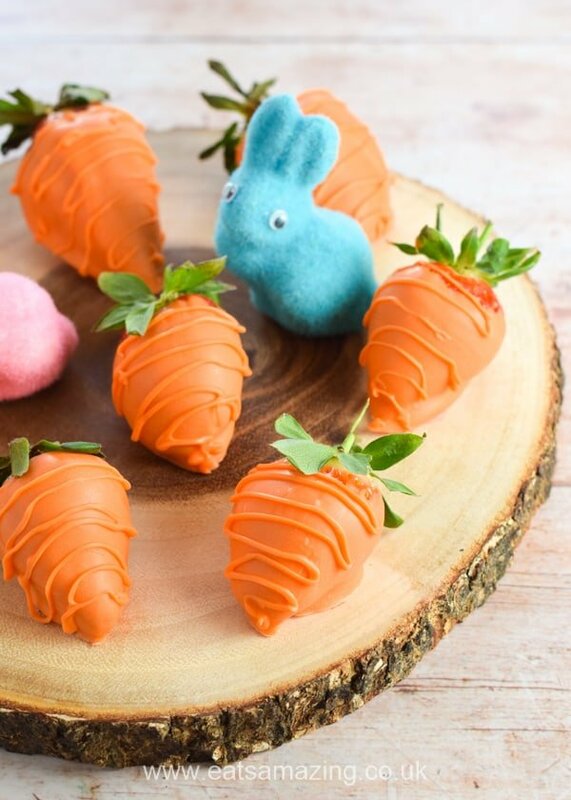 The carrot strawberries are so cute, my kids are excited to make them. These all look so fun, festive and delicious! Especially those Strawberry Carrots! Can’t wait to make them! I love those strawberry carrots too, especially because they are the easiest ones for the kids to make! What a fun and delicious collection of Easter treats. Fun for the whole family to make and eat. I know my grandkids would love to help….and EAT all of these. Thanks so much for including my ice cream in this collection. I know for sure it comes grandson approved!! I will share this post via my social media. I just love your lemon ice cream! Thank you for sharing your recipe for our roundup. I know it will be approved by my kiddos too!